A couple wishing to marry should contact their parish priest well ahead of the anticipated date of the wedding. Marriage is a serious and sacred commitment, and preparing involves more than planning for the celebration alone! 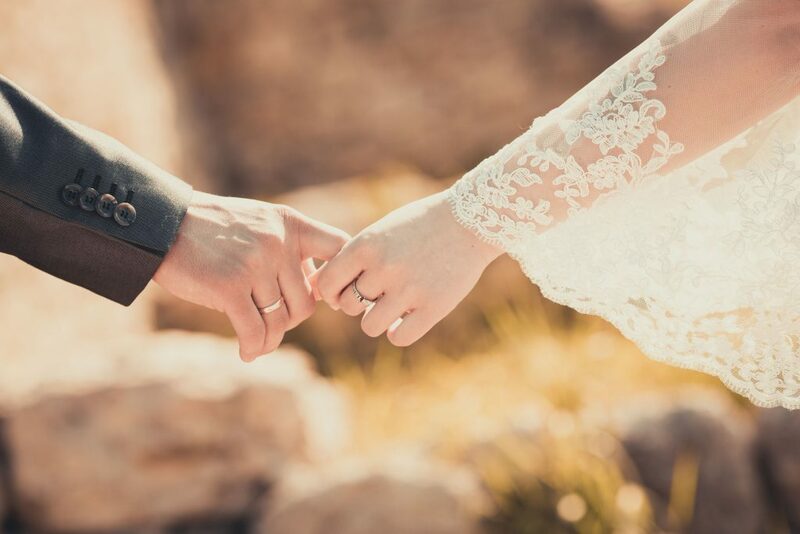 The journey to a couple’s wedding day also requires time, prayer, discernment and communication about what it will truly mean to live out a lifetime of love together in the Sacrament of Marriage. Marriage preparation programs are provided at various times during the year, both at local Catholic parishes and by a number of groups in the community. Marriage Preparation Course offered through Holy Spirit parish in Saskatoon: this program is intended not only for engaged couples but also for couples considering engagement and marriage. The course at Holy Spirit usually runs for 6 weeks on Sundays at 2 pm. Please call Todd and Maureen Heroux (306) 491-7878 or e-mail: mahero715@yahoo.com for information and to register, or for more information please contact the parish office at 306-374-1425 or info@holyspiritsaskatoon.ca. Marriage Preparation is offered at Immaculate Heart of Mary Parish in Martensville. For more information please call Marilyn and Ken at (306) 249-3635 or the parish office: (306) 931-3111. Marriage Preparation course at St. Philip Neri parish, 1902 Munroe Ave. (at Taylor Street E.) in Saskatoon is designed for those who are engaged, or planning to be engaged to be married. Register by contacting Shirley Hyshka at s.hyshka@stphilipneriparish.ca or 306-343-0325. Marriage Preparation at the Cathedral of the Holy Family: 123 Nelson Road, Saskatoon: contact Cathedral Administrator David Polzen at (306) 659-5805 or dpolzen@holyfamilycathedral.ca about the next session. Catholic Engaged Encounter (CEE) is an intensive weekend of preparation, in which each couple is offered the time and opportunity to question, examine, and deepen their relationship, share in community and be open to God’s plan. Topics covered during the weekend include; self-awareness, values and ideals, community, sexuality, communication, decision making, Natural Family Planning, vocations, sacraments, prayer and unity. Couples are given opportunities to learn more about one another as they engage in deep and meaningful discussions between themselves, dealing with all aspects of married life. A weekend stay is necessary to keep the atmosphere generated by the Encounter – away from the distractions of everyday lives. The weekend is designed to deepen and enrich relationships with one another, God, the Church and the World. In the diocese of Saskatoon, the Catholic Engaged Encounter weekends are held at St. Peter’s Abbey in Muenster, SK. The next session at St. Peter’s Abbacy in Muenster, Saskatchewan will be April 26-28, 2019. Cost is $480 for the weekend and this includes all meals and accommodations. Find more information or register online at www.ceewest.com or contact Elizabeth and Deryk Meszaros at deryk200@hotmail.com. Weekend organizers are Lynn and Wanda Freistadt: (306) 373-8607. Engaged Encounter weekends are also offered by Regina CEE at Circle Square Ranch near Wolsey, SK. Upcoming dates in 2019 are: June 7-9 / November 15-17. For more information please e-mail Kris and Angela Lang at eereginacc@gmail.com or go to www.ceewest.com and click on “Regina” under “Select A Community,” on the bottom right hand of the page. A Wedding is a Day, a Marriage is a Lifetime. Catholic Engaged Encounter uses a tried and true method of marriage preparation that has been successful for over 30 years and gained approval from the Vatican and hundreds of dioceses throughout the world. CFS (Catholic Family Services) in Saskatoon offers weekend workshops in marriage preparation designed to help couples learn to better communicate feelings and ideas on relationship issues. The workshops run three times per year. Cost is $225/couple. Weekends run 6:15 p.m. to 9:30 p.m. Fridays/ 9 a.m. to 4 p.m. Saturdays.